The Magnolia shares a similar layout with the larger Southern Comfort, but is scaled back considerably to accomodate constraints of the building site or budget. 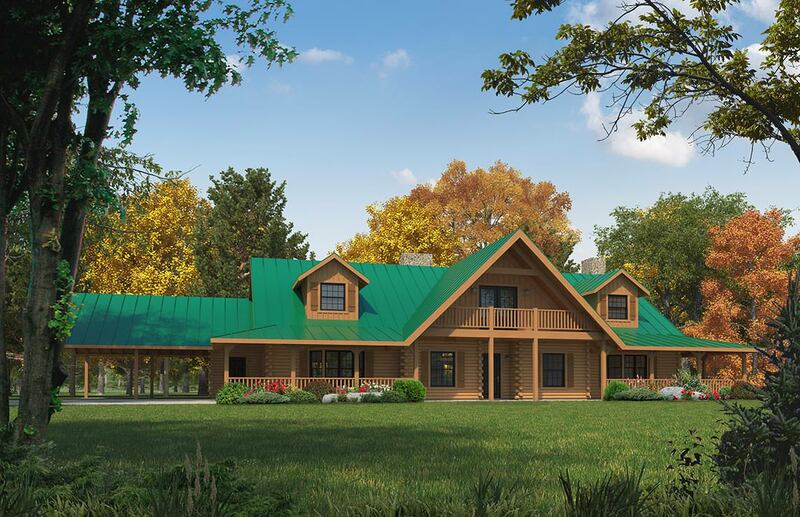 Even so, the Magnolia is a superb plan that delivers all the essentials and more for luxurious log home living, and even a few upgrades along the way, like an added fireplace in the master suite. Like all Satterwhite designs, there is tremendous flexibility to modify the Magnolia to your exact needs. The main floor of the Magnolia retains a large kitchen and two dedicated dining areas, plus an office and guest bedroom. The second level features an ample loft area plus two bedroom suites with full baths. A carport takes the place of the garage, but in many climates across the country, an open carport can be an important occasional outdoor living space for family gatherings, great for lawn chairs and a buffet, especially when inclement weather threatens. 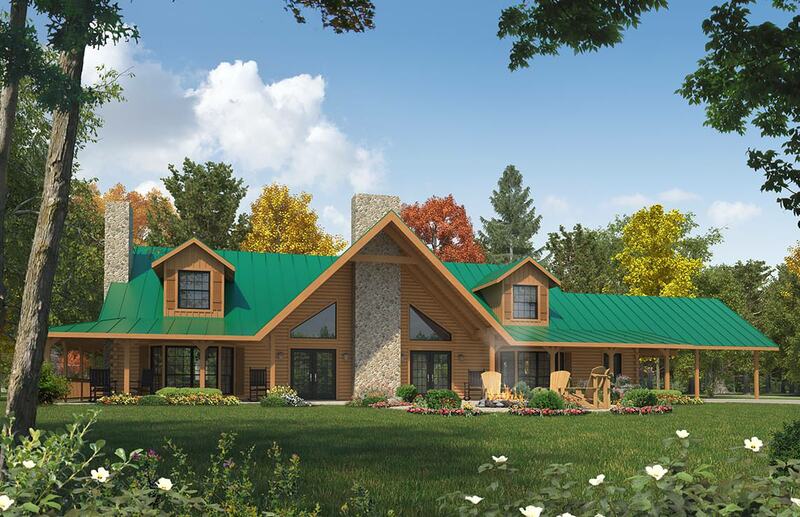 For many, the Magnolia is the ideal log home design for country living.